Almost 8 million people are injured in falls annually, either within their own homes or out in the public. Every year, 2.8 million older adults are treated for fall injuries and one out of five incidents causes fractures or head trauma, which most of the time, result to traumatic brain injuries. This can happen at any age and something that should never be ignored. Good thing though is that it can be prevented. With the help of the following tips, you’ll surely be able to reduce your risk of falling. Exercise regularly to improve your balance and strengthen your core. A few activities that you can do are yoga and tai chi. Exercise can also help prevent bone loss which is one of the reasons for falls in older adults. 2. Have your vision and hearing tested regularly. Impaired vision and hearing are recipes for disaster because it will be hard for you to avoid objects which can result for you to trip and fall. Have your eyes checked regularly to get the right prescription or make sure that your current prescription is updated. 3. Have your health practitioner review your medications. A lot of medications cause dizziness and drowsiness which can increase your risk of falls. Check with your health practitioner and discuss the different side effects and interactions of each medication. 4. Avoid standing up right away from a seated or lying position. 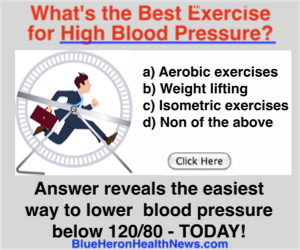 There is a condition called Orthostatic or Postural hypotension where in your blood pressure drops when you suddenly stand up from sitting or lying down. This can result to dizziness, light headedness or fainting. To avoid this, take time to get up from your bed or chair. For example, when getting out of bed, sit up first for a few seconds before standing up and wait for another few seconds before you start walking. 5. Light up your home. Keep your home brightly lit to avoid tripping on certain objects. Always have a source of light at the top and bottom of the stairs and the entryway of every room. 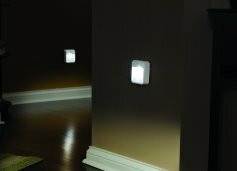 Place night lights or motion-sensing LED lights in bathrooms, hallways, closet or dark corners of your living space. This way, you don’t need to worry about walking around in the dark during the middle of the night in case you need to go to the bathroom or your kitchen. Clear your living space from hazards that can potentially make you trip such as boxes, electrical cords, unsecured and loose rugs, etc. If you have little ones at home, make sure that they have a designated area for their playtime. Otherwise, you’ll end up stepping and slipping on Legos. If you feel like you are prone to slips and trips, avoid wearing uncomfortable footwear, high heels or shoes with slippery soles. Installing assistive devices in your home doesn’t mean that you are weak. There’s no harm in making ways to fall-proof your home as early as now. You can start with non-slip rug pads and shower mats and installing grab bars inside your shower or rails beside your bed.